Small businesses are discovering the appeal of a communications solution that extends the power of their business phone system far beyond their office desktop and conventional dial tone. Unified Communications can be a competitive advantage for businesses that need a single system to manage multiple channels of communication, making their business more productive and helping smaller companies take advantage of features that make them appear larger and more competitive to their clients. Think of Unified Communications as the Swiss Army knife of small business communications. 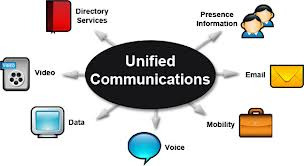 As might be expected, given its flexibility, interest in Unified Communications strategies continues to rise. ANP is holding a webinar this month on Unified Communications; you can register by clicking here. Many small businesses perceive additional value in the deployment of Unified Communications. Large and medium sized companies and those with a higher proportion of telecommuting workers are the most bullish about the benefits of Unified Communications. 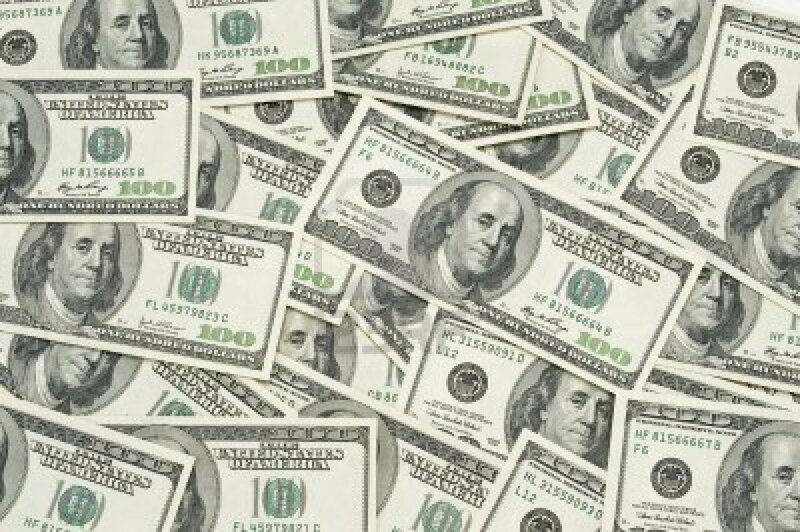 I have noticed, as a Managed IT Service Provider that Unified Communications, or communications and collaboration solutions, are getting equal, if not more, dollars from annual IT budgets compared to other technologies. There must be a business return for the investment; many businesses have a clear vision of what they expect to gain from implementing Unified Communications; they expect greater employee productivity, reduced dial tone cost and a means to improve customer engagement. Having a nimble Unified Communication solution makes integration and ease of use possible for small and medium-sized businesses to manage communication styles that were once considered to only apply to larger organizations. Why should your business consider upgrading an existing phone system to get Unified Communications? If you have a small and medium-sized business, there are critical advantages that you can, and should, expect when implementing the right Unified Communications solution. These five key business benefits are helping drive the strong adoption rate of Unified Communications by businesses today. Communicate more effectively with employees, customers and vendors: Particularly important to smaller businesses is the ability to implement any technology that provides enhanced functionality and is simple to take advantage of. Unified Communications is increasingly recognized as a technology that allows small and medium businesses to take advantage of proven increases in productivity and functionality while realizing significant savings. Once Unified Communications is implemented every employee will be able to use any computing device from anywhere in the world to connect to your phone system without dial tone and long distance charges. They will be able to Instant Message colleagues, make phone calls, listen to voice mail and perhaps most interesting, send and receive video calls. They can also tell if another employee is on the phone, in a meeting or away from their computer. Imagine the level of engagement between your employees and your customers and vendors when using video during your phone calls and not spending a penny extra for the enhanced level of communication! Saving money on overall operating costs: One of the greatest benefits of implementing the right Unified Communication solution is taking advantage of the cost savings it provides. This includes both savings on the initial cost of the system, as well as, savings on the long-term costs that leads to a good Return on Investment, such as the removal of a lot of the dial tone delivery costs. When shopping for a cost-effective Unified Communications solution, make certain you understand the software licensing costs, insure that all of the Unified Communications features, such as, Instant Messaging, video conferencing, and presence updates are all included in the cost of the system and are not extras. Gaining uplift in customer service capabilities: The right Unified Communications solution should be more than a phone system; it should be a better communications system that helps you improve your customers' telecommunications experience with your business. A quality Unified Communications solution allows small and medium businesses to serve customers more effectively, using features such as call queues and contact center features to handle every call with care. Small and medium businesses should be able to use a Unified Communication solution to know more about every incoming call, in order to route each call appropriately, ensuring there are no more missed calls or lack of visibility. You should be able to route each call to the right employee every time no matter where the employee happens to be located when the call comes in. Moving beyond basic dial tone phone functionality: Too often, small businesses will evaluate new technologies based on whether or not the system can meet the organization’s current needs - in reference to both basic features included with the technology and in reference to the current size and structure of the business. That type of decision can cost a small business thousands of dollars in future upgrade costs when choosing a business phone system. When considering “future expansion,” that term may not mean something as extensive as expanding physical locations; it could be as simple as adding or moving an employee. The right Unified Communications solution will allow small and medium sized businesses to opt for a flexible system that provides extended functionality and that will also grow with the business. Have you ever been frustrated by you inability to speak to an employee while in your car, or at home or at a client site? Do you find yourself wondering how you might be able to raise the engagement level between your colleagues and yourself? I often found myself wondering if my employees were on the phone or in a meeting. I thought that my ancient PBX was actually beginning to limit my company’s ability to meaningfully communicate. Small business phone systems have made huge strides in the last five years; in fact, small business phone systems don’t resemble their ancient ancestors at all. A modern small business phone system can correct all of the problems I just described in a ten-year-old PBX. Using a new technology called Unified Communications an organization just like your company is able to seamlessly integrate, or unify, its typical business communications with both real-time communications (such as instant messaging, presence information (who in on the phone or in a meeting), telephony/VoIP (phone calls), voice mail and video conferencing and non real-time communications (such as e-mail, SMS texting and fax). 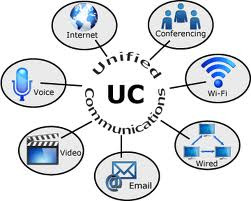 Okay I recognize that was a lot to digest, so lets break down Unified Communications into to smaller bite sized pieces so you can follow along and hopefully begin to see how Unified Communications could significantly help your small business improve collaboration between your employees, vendors and your customers! Remember on your ancient PBX how you could only get your phone calls from your desk phone? Unified Communications can program a VoIP phone system to look for you on all of your preferred devices while your office phone is ringing. If it finds you somewhere out of the office, it will automatically transfer the call from your desk phone to your cell phone or home phone without the calling party realizing how or where you are taking the call from. By loading Unified Communications software on my iPhone, iPad, or Mac Book Air, all of these devices become extensions of my VoIP phone system, I can receive or make phone calls from any device any where in the world as if I am sitting oat my desk in my own office. Sometimes, I don’t really need to talk to someone but I want to text them a short message, with Unified Communications I can Instant Message my employees and we chat back-n-forth. The chats are also recorded as a log file for security’s sake. Remember how you could never tell if your employees are on the phone or in a meeting? By loading the unified communication software of your preferred device, you can see an employee’s status; are they at their desk, are they on the phone, or in a meeting or not signed on. You can even extend this feature out to your customers and vendors who are using VoIP systems and share this information between each phone system. I can instantly see if my vendor is able to speak to me before I call them. Have you ever been on a video conference call? Were you impressed how video can bring an additional dimension to our communications? Well when you deploy Unified Communications software on a device with a camera, you can instantly start video conference calls just by dialing a phone number. I can use my iPhone to videoconference right back and into my office. And it’s free because the data packets are going over the Internet. These are just a small sub-set of what you can do with Unified Communications. Unified Communications software lets you be more productive, anytime, from anywhere on any device. Wherever you are, you can quickly and easily find people, see if and how they are available, and collaborate using instant messaging (IM), voice, high- definition video, voice messaging, desktop sharing, and conferencing. Unified Communication gives you the power to work your way, from any device and within the familiar applications and business processes you use every day. Communications and collaboration are changing to be inherently more mobile, social, visual and virtual. Unified Communications delivers a collaborative experience from your preferred device (your desk phone, your cell phone, your tablet, or your laptop) that lets you be as productive when mobile as you are at your desk. Unified Communications software takes advantage of intelligence in your VoIP phone system to deliver secure, reliable, and high quality communications. You get a consistent experience across on-premises and cloud-based deployments—and Unified communications software utilizes industry standards to ensure interoperability across Cisco and with third-party solutions. By combining a broader range of communications and features into a more complete Unified Communication solution and integrating it with your business processes, your small business is able to substantially increase its effectiveness – and cost savings. If you would like to learn more about Unified Communications ANP is hosting a webinar for small business owners to discuss VoIP phone systems and the business benefits of Unified Communications.